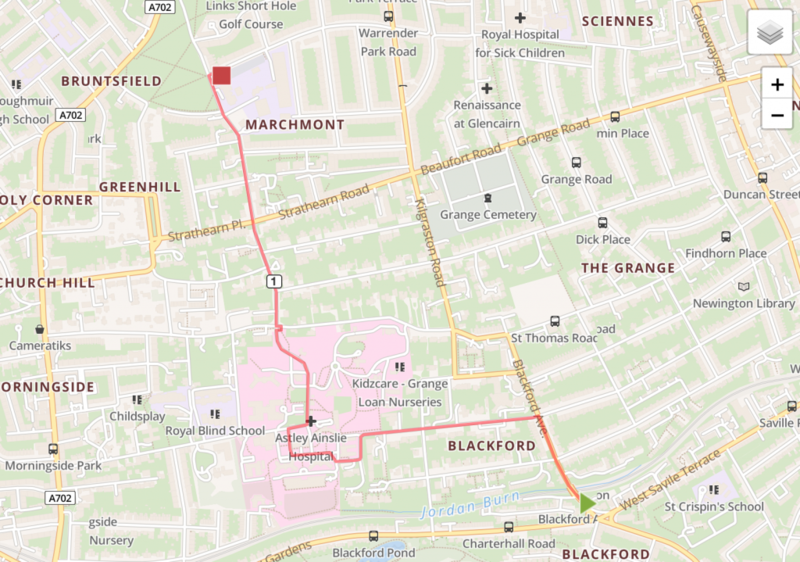 Planning your route is vital – we used a mapping site mapometer to plan our route as it allowed quite precise indication of the start point and end point as well the exact route into school at the end. Identify bus routes, potential road works and a good starting point where a good number of people can gather safely. Also identify a good way of either entering school grounds, or dismounting safely beforehand in order to walk in. One of the most important things to do is to make sure you alert the greatest number of potential riders that this event is to take place – there is safety in numbers in these events. For dissemination it is useful to have a webpage (such as this one) where important information such as start times and locations can be stored. We tweeted this image out and sent it via the school – this was helpful in raising the awareness of the event. Social media is also your friend in this regard – we use our twitter account a lot and encourage the school itself to retweet important tweets from us. Also it is important to make sure you have the full support of the headteacher of the school – in our case the headteacher was very supportive and came on the ride. This also meant we could ask the school to email parents with specific emails about the event. Our school also used the concept of junior road-safety officers and had an excellent teacher in charge of briefing these pupils — this was very helpful – more on this further down. We also had a communications plan in place from an early stage which allowed us to plan when we would update information and send reminders, and contact specific important parties. 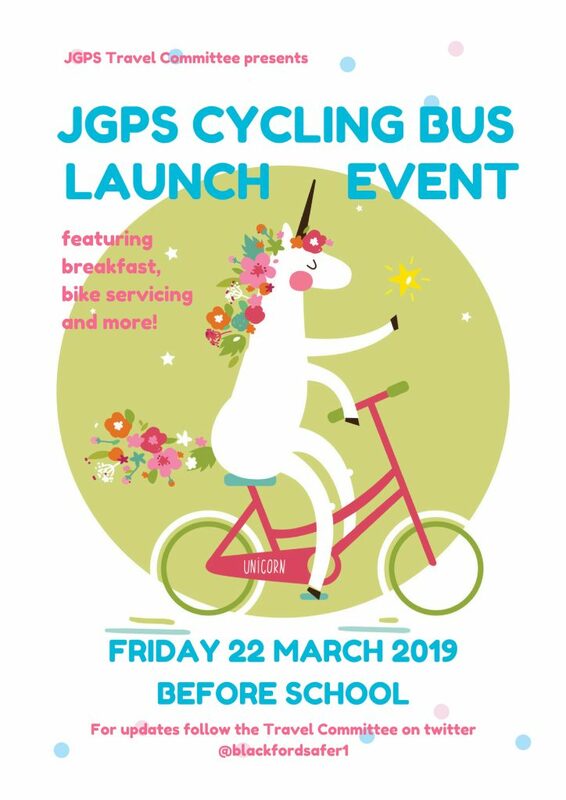 We employed Ross Crook, who runs the bike club and bike camp at JGPS to be the ride leader at the front – he is trained in such a role. He knew many of the kids and so engaged with them well, giving many roles in the event. He also went to the school and showed a video of a previous bike bus event which was very helpful. You also need a rear ride leader – someone at the back whose main responsibility is to try and keep the group together and prevent cars behind from trying to pass dangerously. It is vital a proper risk assessment is carried out before the event. An example one for our event for example (with enormous thanks to Sciennes school and Robert Gormley who provided us with an excellent starting point) can be found here. The council will in general be supportive of this idea, and in particular the cycle safety team. It is important to get in touch with them as they may well be able to help with route planning. In our case they were able to extend some light phases temporarily to allow the group to pass. We also got in touch with the local community council to let them know the event was happening. The school should have a contact for both the council cycle safety office and the local community police officers. It is useful to inform the police, but in our case they did not engage with the process despite several emails. We contacted Lothian buses and let them know the route chosen so they were aware of the times and likely clashes with bus routes. We also let any contractors who were doing roadworks know in advance. As mentioned above, we used the notion of Junior-road safety officers to engage pupils with the ride and give them a sense of ownership and responsibility. The ride leader also allocated some “ride captains” – not necessarily the strongest riders, but kids who would understand the importance of staying together and not making the event a race. Be prepared for the group to split up and in which case plan for that event by having enough adults. Also be prepared for the weather to be too windy and in which case potentially turn some of the route into a walking bus. Also it is a good idea to ensure that there is a specific adult who has been responsible for bringing each child who will do the ride with them. In order for the group to feel safe it is important that the pupils riding are surrounded on the off-side by confident adults. Have some independent adult riders who do not have their own children to look after is very handy. On our ride we also had a trailer which helped the younger kids as they could put their school bags in the trailer which made riding easier. The school held a special assembly the week before the bike bus making sure each of the children knew about it. There were special guest speakers and a video of a previous successful bike bus given by the ride leader. 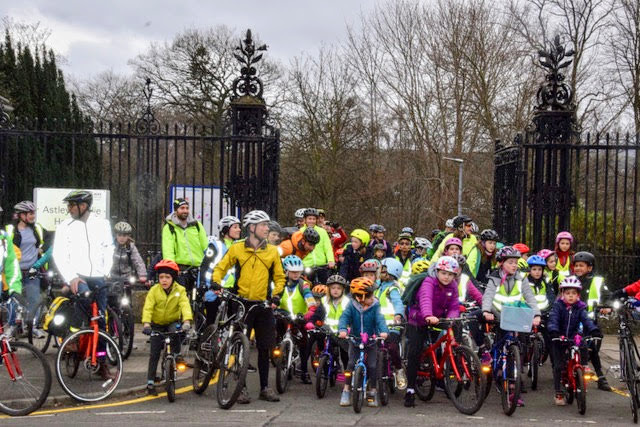 There are various things to ensure and think about when actually cycling on the route. When crossing roads use adults to block traffic at potential conflict points. Encourage people joining the ride “en route” to start cycling in front of the bus and then subsume them when possible.